The POE-24P is an unmanaged 24 port PoE network switch that allows you to plug in 24 network PoE+ devices. Each of the ports also has built-in PoE injectors so you can power up to 24 IP network cameras that require 802.3 af/at compliant PoE power, including bullet cameras, dome ip cameras, wireless access points, and IP phones. 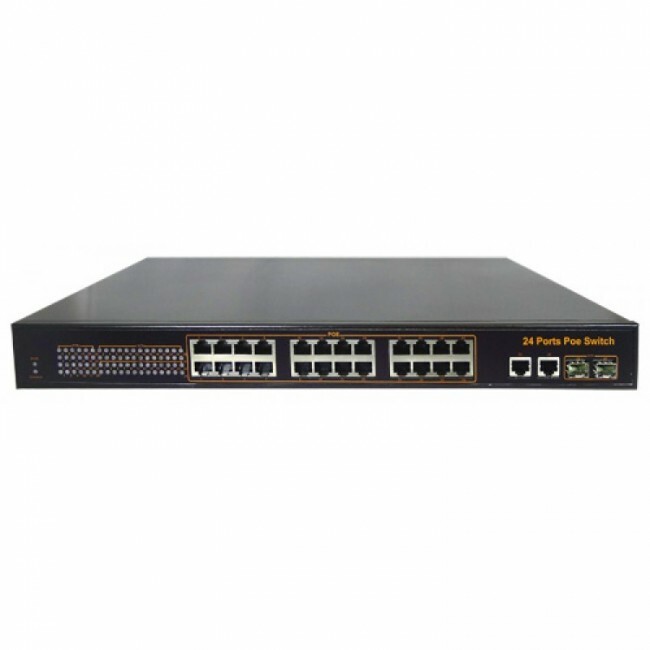 We recommend this switch as a dependable and cost effective solution for installers looking to install up to 24 IP cameras, and use the last port for connection to a IP camera network video recorder or existing network switch/router.